Making some good progress, I have 6 finished now and the next 4 just need their arms finishing up. Not sure how i will paint the vox pack, but i am really happy with how it turned out \(Will take a better picture tonight), its not as bulky as the original and disguises the awful antenna the come with originally. All comments and criticism appreciated, will be getting the few finished today and will do a heavy weapon squad as a treat to myself next ;o) which i think will be a good template to follow and keep the momentum going. 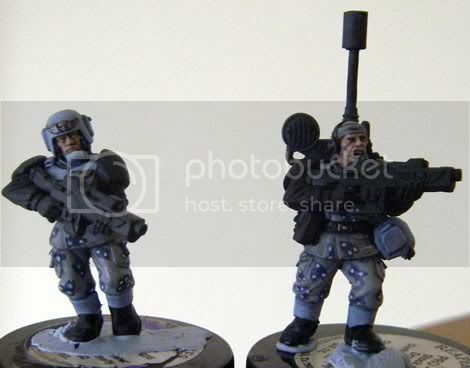 Paint a squad - convert and paint a heavy team. 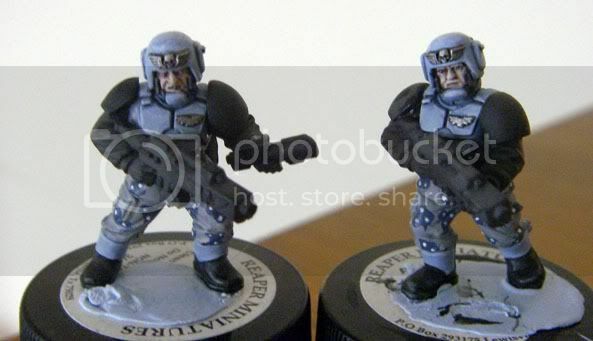 I am looking forward to the heavies as i have a couple of ideas and a prototype i want to run by you all for c&c but i am resisting doing anything or posting now so that i actually finish off the rest of the squad first! Back off to the paint dungeon i go!